A 65-year-old Manhattan woman who has been missing since Monday night was found dead in a garbage bag in Morristown, New Jersey, and the woman's son and his girlfriend have been charged with concealing her body, police said. 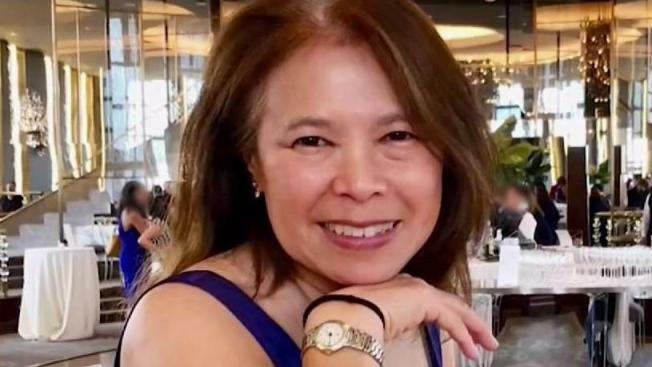 Paula Chin's body was found at a home she owned on Bailey Hollow Road, the sources said. Investigators believe Chin may have been stabbed to death in her Vestry Street apartment in lower Manhattan in a fight over money, and her body was later driven across the river by her alleged killer. Her son Jared Eng, 22, of the Vestry Street address, his girlfriend Caitlyn O’Rourke, 21, of Patterson, New York, and a third woman, Jennifer Lopez, 18, of Manhattan, have been charged with concealing a body, law enforcement officials said. None of the three had been charged with murder as of Wednesday afternoon, but sources said murder charges could be filed in connection with the case later Wednesday. Asked if he'd killed his mother, Eng said to reporters "I did not" as he was led from a police station in handcuffs. He said his mother gave him everything and that he loved her. O'Rourke and Lopez said nothing. Chin has two sons, and law enforcement sources said they are looking into whether a family dispute over money may have led to the killing. Officials said it is believed Chin was stabbed in the throat during the argument. NYPD detectives were expected to execute a warrant to search Chin’s third-floor apartment on Vestry Street, as well as a car parked nearby that may have been used to transport the corpse, the sources said. People who work on the block said Chin was the landlord at 17 Vestry, and at least one of her sons also lived there. Public city records confirmed she owned the building at the address, along with Philip Eng. "I got nothing bad to say about her. I got nothing bad to say about her son, because I liked him," said Robert Jones, a neighbor who was friends with both Chin and Eng, and never suspected any trouble. Police in Morristown joined NYPD detectives in searching the Bailey Hollow Road home, which Chin also owned. Residents in Tribeca were stunned to learn their neighbor was allegedly killed. "I'm in shock," said Emma Greis. "I can't believe that it would happen in an area like this."